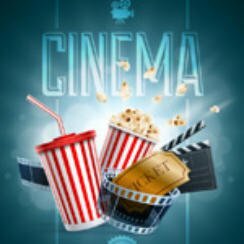 Popcorn Cinema Show takes a look at the Movies Released This Week (28 August 2015) for the UK, US, Australia and New Zealand at the cinema. Hitman: Agent 47 comes to the UK this Friday. Jennifer Lawrence & Amy Schumer to write and star in Comedy? When will see their collaboration remains to be announced. Bruce Willis NOT in Woody Allen’s New Film? So Bruce Willis will now not be appearing in Woody Allen’s new film due to a clash in his schedule. Willis is due to appear on stage in a adaptation of Stephen Kings Misery at the same time he was due to start filming on Woody Allen’s film, whoops! Want Or Need To See More of The Hobbit? There will be an extended cut of The Hobbit: The Battle of the Five Armies offering 20 minutes more footage. It’s due out November 17 in the US although at the time of writing no UK release date had been announced. This is the story of Cole ( Zac Efron) who is looking to make it in the music world as DJ and seeks the help of a older mentor. This is the story of the group N.W.A, its members & their relationships. Following the band’s formation to it’s meteoric rise through until their demise.